Cut off one Galaxy Note 9 deal, two more shall take its place. Technically, two new special offers seem to have replaced two discontinued promotions, but you get the idea. Of course, not all bundle deals are created equal, although it remains to be seen if Samsung will convince more people to pull the trigger for a free Gear 360 or Gear VR than a complimentary Gear Fit 2 Pro or a $99 Gear S3 Frontier/wireless charging stand combo. 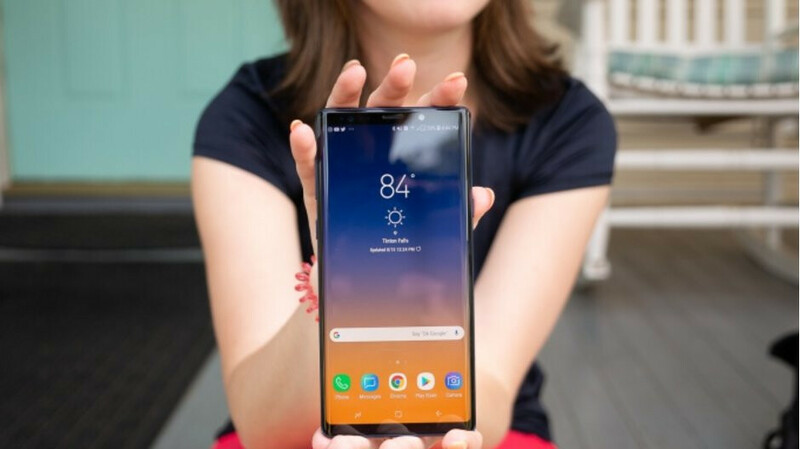 If you’re not sure about the free TV offered by Best Buy alongside the Galaxy Note 9, S9, and S9+, the exact same phones can be purchased directly from Samsung with your choice of a Gear 360 or Gear VR thrown in at no extra cost through October 31. You can opt for an unlocked or carrier-specific variant of any of those three handsets, but keep in mind they don’t come cheap. The Note 9 fetches a whopping $999.99, while the Galaxy S9 and S9+ start at $620 and $740 respectively. Normally, a 2017-released Samsung Gear 360 camera costs $229.99, with a Gear VR headset available for $130 or so (controller included), though both gadgets have scored important discounts at various retailers on numerous occasions over the past few months. You should also keep in mind the latest Samsung Gear VR generation is only compatible with the Galaxy Note 9 with a free adapter you need to separately claim. If you don’t have a problem with that, you know what to do. Or you could always wait until October 31 and hope Samsung will replace this with a better deal. Got the 360 with my note 8. I don't use it alot, but I do like it when I do. The Gear 360 is a better buy. Not that the Gear VR isn't. But when you can create 360 or VR content with the Gear 360, then that is an even better buy. I got a galaxy 10.1 tab A with my s9+, excellent deals if you look around. They are giving products free what no-one would buy with real money or want anyway. Same thing that I offered MarvzIsFallen applies to you: Let's see if you can go the rest of the year without trolling a Samsung article. If you can I have $100 for you. Care to take me up on it or are you going to prove that you're just another troll? Why can’t you accept that Samsung needed to bundle this with other junk products to sell. And Samsung should better price the phone for $500 so there’s no need for them to give free stuff in order to sell. If a product is selling well then there’s no need for this. Is Apple doing anything with VR or have any 360 cameras. That would be a big fat NO. So go back to your controlled iPhone environment, than restricts you and limit's what you can do with your iPhones. You got the iPhone XS Max, but it's just a bigger iPhone and that is only it. There is no phablet capabilities, no mouse or stylus/pen support, no desktop support. There is no real multitasking and split screen multitasking on any iPhone. For a 512 GB iPhone XS Max in Canada is $2000 CAD, the Note 9 in Canada right now is $1500, and you can get a 360 Camera or VR Camara as well. The real joke is the iPhone XS Max, and people wanting a bigger iPhone that offers the same functionality as it's smaller iPhones. No real benefit to the XS Max. That's the real joke. Apple found real suckers in you two guys. Which proves that you're a troll, so I don't want to see anymore of your whining about banning people here unless you're including yourself. I'll get back to you on that. If it wasn't you it was someone with a similar username, so if it wasn't then my apologies. I would buy Gear VR for sure if I had a Samsung phone. Some VR games looked like a fun activity for 10 minutes + watching a movie on a giant oled, that is nice. Weren't there articles claiming GearVR is on the most adopted VR out there? Actually if you want to get technical Cardboard has the most VR users by a mile.. However the next is Gear VR, and the latest Gear VR has a 3 degrees of freedom controller (similar to Daydreams controller). Which really enhances the Gear VR experience beyond Cardboard. Why are you so worried about it? You’ll never buy a Samsung product, Duel.